With several new entrants trying to muscle into the Australian banking sector and upset the big four, FinTech Futures has created a comprehensive list of the known challengers to date and the technology they are using. It is fully funded and backed by Cuscal, Australia’s largest independent provider of end-to-end payments solutions. The plan for 86 400 requires in excess of $250 million of capital over the first three years of operation, with “additional shareholders expected over that period”. The bank is working with the Australian Prudential Regulation Authority (APRA) and is “well progressed” into the process of obtaining a full banking licence. Its official launch will happen soon after receiving that licence. 86 400 will be available as both an iOS and Android app from launch. It’s in testing mode at the moment, as the bank has 60+ staff using the app, transacting via Apple, Samsung and Google Pay, and using its debit card, both in Australia and overseas. Its core banking platform is sourced from its Australian banking technology partner Data Action and is operational. Thomson says all payment rails (including real-time payments) are established, and money is flowing through the banking system. Melbourne-based mobile-only challenger Archa is not currently a bank, but is working with a licensed bank partner to open for business. In due course, it will obtain its own ADI (authorised deposit-taking institution) licence. It positions itself as a financial platform for users to save, spend, travel, send and receive money via mobile phone. Funds can be stored in a fee-free global account; hold multiple currencies at once, and move between them at flat rates. For its technology, Archa is exploring how it can use blockchain technology and cryptocurrency networks. Archa was founded in 2016 by Oliver Kidd (CEO), who is also a company secretary for Benitec Biopharma. The average age in Archa’s management team is 28. A start-up lender in Australia offering loans from AU$2,000 to AU$30,000. 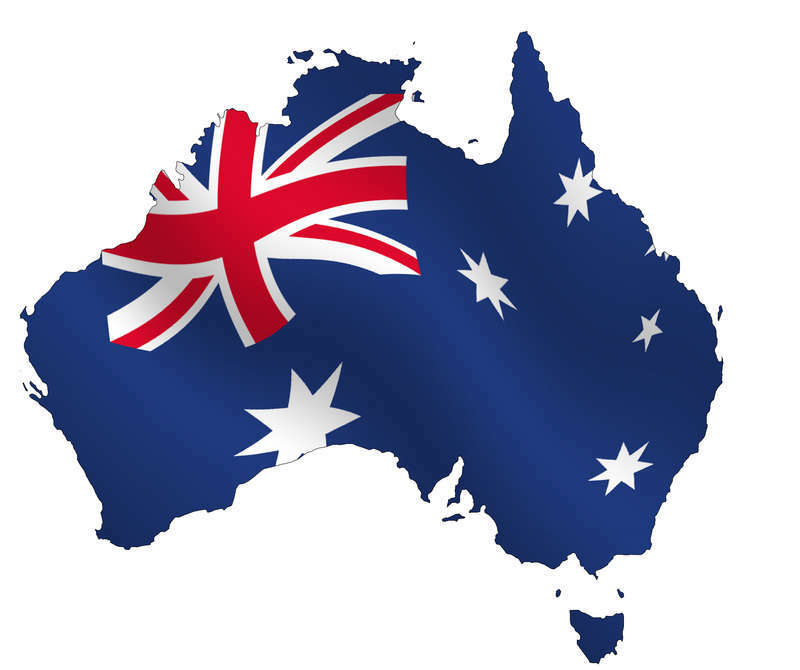 It does not yet have an authorisation from the Australian Prudential Regulation Authority (APRA) to be a bank or a deposit-taking institution (ADI), but is understood to be working towards this (April 2019). Bene was co-founded by Craig Fenwick, CFO and Simon Beitz, CEO. Prior to this, the two spent more than ten years working for Suncorp. Goldfields has a full banking licence and provides retail banking services to customers in Perth and regional Western Australia. It also has branches in Kalgoorlie and Esperance. It offers savings and investment accounts, business accounts, personal loans, home loans, and term deposits. The bank is an authorised deposit-taking institution regulated by the Australian Prudential Regulation Authority (APRA). In 2017, Goldfields implemented Rubik Model Bank, a front-to-back office system based on the Temenos’ T24 core offering. (Rubik was acquired by Temenos later in that year.) The system is delivered on a hosted basis. Established in 1982 as Goldfields Credit Union, the company demutualised and listed on the Australian Securities Exchange in May 2012. The bank also has a subsidiary, Finsure Finance and Insurance, which was was founded in 1995. This provides B2B mortgage aggregation services. Payment and identity technology firm iSignthis plans to get a neobanking licence from the Australian regulator in Q1 2019. The licence will allow the Melbourne-based company to bank with the Reserve Bank of Australia (RBA), and place customer funds at the RBA repo window to earn interest. Its tier 1 capital requirements have been agreed in principle, and its current balance sheet meets APRA’s initial capital requirements. The new bank will not offer loans or credit. iSignthis offers Visa, Mastercard and JCB as a principal licensee in the EEA/EU. Diners, Discover, ChinaUnionpay and AMEX are also licensed, with “technical integrations underway”. Once all its payment channel capability is in place, the firm says it can offer a service “more extensive than Australia’s big four banks”. In September 2018, it acquired core banking system vendor Probanx Information Systems for €400,000. While in June 2018, it launched its Euro-based, business-to-business (B2B) transactional banking service with paytech start-up Gobbill. Melbourne-based Judo Capital officially unveiled its banking plans in March 2018 as it targets the nation’s SME sector. Judo says it has started the process of applying for a banking licence from APRA – the culmination of a “strategic build-up of the company” over the past three years. Its model is based on UK challengers such as Aldermore, Shawbrook, and OakNorth. To deliver both the platform and application, Judo turned to Microsoft and BankSight. The latter provides a banking CRM and deal builder solution for use both by Judo lenders and partner brokers. Also involved in the AWS-based lending platform is Brisbane-based Itoc. Judo states that it was designed and built from the ground up in six months. For its core banking system, it uses Temenos’ T24 as a managed service on the Temenos Cloud. T24 will integrate with Judo’s existing systems via an API layer. It also uses Vermeg’s AgileReporter package for APRA reporting requirements. It will be targeting “digital natives” with its app and debit card. It is beta testing features such as immediate currency conversion, foreign bill splitting and group holiday saving goals. Pelikin says it is doing away with complicated account numbers and instead encourages users to set a unique Pelikin handle, just like Twitter. QPay, based in Canberra, offers a banking platform targeting the student sector in Australia (and also the UK). It alerts users about their expenses with a mobile notification with an emoji for whatever its users spent their money on – e.g. it will show you a pizza slice emoji if you buy pizza. QPay was founded in 2013 by Andrew Clapham and Zaki Bouguettaya. Andrew Chick, former Royal Bank of Scotland’s (RBS) Australian head, is on QPay’s board of directors. The platform has also been launched in the UK, with 24,000 students from Cambridge, Oxford, Edinburgh and Durham now using QPay Swipe, a pre-paid card. The app sends targeted and relevant deals to users, based on previous purchase behaviour, “ranging from discounted Netflix and Spotify to reduced co-op books and burritos”. The aim of the card is to help students save money on products and services, with future aims to become a challenger bank in both Australia and the UK. This Sydney-based bank has been around since 2001 and says it is Australia’s “largest independent Eftpos provider”. It is focused on SMEs and has a licence to provide banking products by APRA. At present, Tyro has around 400 staff members. In March, it unveiled Tap & Save, to enable merchants to process debit tap-and-go payments through the Eftpos network. Tyro provides integrated payment, deposit and unsecured working capital solutions for more than 20,000 SMEs, and collaborates with more than 200 POS providers and cloud accounting platforms. In its fiscal year 2017, it states that it processed more than $10 billion in payment transactions, generating $121 million in revenue. It has launched Free2Spend – an in-app tool for personal finance management (PFM); and RoboChat, a virtual assistant for online home loan applications. The latter was built with IBM Watson. For its core banking tech, UBank uses Oracle Banking Platform (OBP) from Oracle FSS (and so does its parent, NAB). The bank (or, to be more precise, banking service) was founded by Dom Pym and Grant Thomas, a former AFL coach. The tech company behind it is Melbourne-based Ferocia. Up’s technology is fully cloud-based. The financial services are being provided by Bendigo Bank, so Up doesn’t need its own banking licence. The challenger has been kept on the low until now. It has been trialling its services with 1,500 customers, which have sent a total of $2.2 million in transactions. It already has Apple Pay, Google Play, Garmin Pay and Fitbit Pay implemented, and says it is bringing products to the market that Australia has never seen before. Sydney-based Volt Bank was given Australia’s first new restricted banking licence. In January 2019, it was the first challenger to become a fully licensed bank. The bank says it is “mobile first”. It has 100 staff and has raised $45 million in equity. This year it plans to roll out savings and transactions accounts, term deposits, personal loans, and home loans. In October 2018, PayPal and Volt partnered to allow customers to log in using their PayPal credentials. For its core banking system, Volt has selected Temenos’ T24. Eric Wilson is Xinja’s chief executive and a former National Australia Bank (NAB) executive. Xinja might be new, but it will have some handy experience on tap. Jason Bates, a co-founder of UK digital challenger bank Monzo, has joined the Xinja board. In March 2018 it unveiled its prepaid travel and spending card and app. Xinja says it plans to launch deposit accounts, and mortgages and credit cards. Its home loans were released in April 2018 as a beta product. In December 2018, it received a restricted banking licence from APRA, officially becoming a bank. APRA has granted Xinja a restricted authorised deposit-taking institution licence (RADI). This will allow Xinja’s customers to make use of the card and pre-paid card. For its tech, it uses SAP Cloud for Banking. This provides open banking capabilities, and integration to payment systems and business networks. Xinja can also offer APIs to use and has a mortgage origination platform. The latter is supplied by Australian fintech specialist Iress. Great article – You mentioned you would update regularly. It might be time to do so already with Up and others..
We’ve now added Up to the list! Fantastic you added Up, perhaps it’s time to add Bene to the list. I believe they are further along then some others listed above. Thanks, we’ll check it out and add to the list if applicable! Mobile point-of-sale pioneer Square Inc. is applying for an Industrial Loan Company (ILC) charter to support the expansion of its lending business, the volume of which grew 68 percent year-over-year in Q2 to $318 million.